A system of identical bosons with short-range (contact) interactions is studied. Their motion is confined to one dimension by a tight lateral trapping potential and, additionally, subject to a weak harmonic confinement in the longitudinal direction. Finite delay time associated with penetration of quantum particles through each other in the course of a pairwise one-dimensional collision in the presence of the longitudinal potential makes the system non-integrable and, hence, provides a mechanism for relaxation to thermal equilibrium. To analyse this effect quantitatively in the limit of a non-degenerate gas, we develop a system of kinetic equations and solve it for small-amplitude monopole oscillations of the gas. 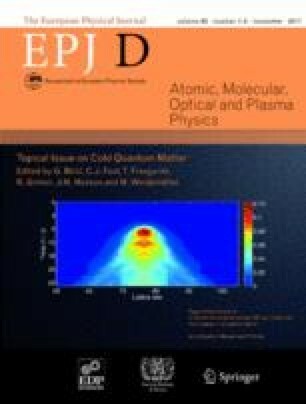 The obtained damping rate is long enough to be neglected in a realistic cold-atom experiment, and therefore longitudinal trapping does not hinder integrable dynamics of atomic gases in the 1D regime.